To find Lawkyz, follow the beat. It is here, in this vital part, this lighthouse which guides the route of the other instruments, which it prints in depth the low notes of his four strings. Riveted on the drums. Linking with it a rhythmic pact, ensuring the propulsion of the groove on stage with Erik Truffaz or Guts; on records with UHT, Anna Kova, or Versus, his hip-hop project with full live band. When he puts his fetish instrument, when he lets cool his amp, then wakes up his evil twin: The Waxidermist. 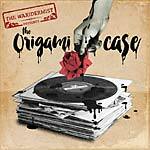 One year after his last EP, The Waxidermist comes back to tell his story. Features Mattic, RacecaR, Venomous 2000, Green T, and Anna Kova. CD version comes in a digisleeve.